KIEV, Ukraine -- Lawmakers in Ukraine accepted the resignation Tuesday of the defense minister as thousands of troops withdrew from the Crimean Peninsula, now controlled by Russia. In an address to parliament, Igor Tenyukh said Tuesday that he rejected criticism that he had failed to issue clear instructions to troops, but that he reserved the right to step down. Lawmakers initially refused his resignation but then accepted it. Meanwhile, Ukrainian soldiers continued to pile onto buses for their westward journey on Tuesday, leaving behind former comrades who saluted them from outside a base overrun by Russian forces. Before resigning, Tenyukh said he had received requests to leave Crimea from about 6,500 soldiers and family members- meaning about two-thirds of the 18,800 military personnel and relatives stationed there were so far taking their chances in the peninsula newly absorbed by Russia. 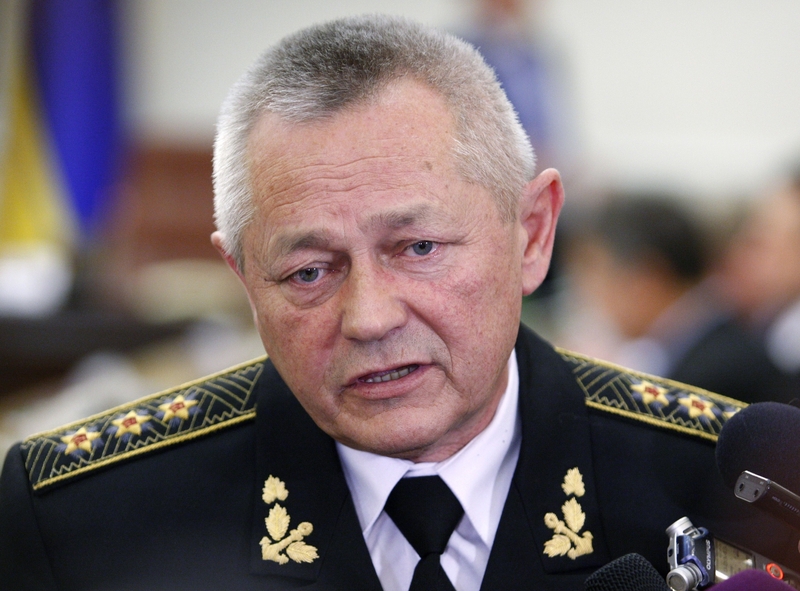 The acting president of the fledgling Ukrainian government on Monday ordered troops to withdraw from Crimea. Soldiers began departing that same day, and early Tuesday, servicemen escorted by Russian-commanded troops left a marine base on buses from the eastern Crimean port town of Feodosia. As they left, Ukrainian servicemen standing outside the base saluted them and a small group of people standing outside looked on.